Our Bed & Breakfast accommodation is located in the quiet town of Mae Rim, just 15km north of Chiang Mai. 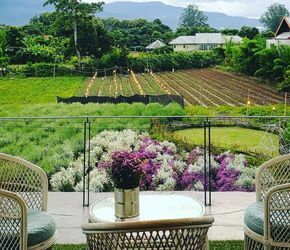 Visit our B & B with adjoined cafe and enjoy the superb view overlooking the surrounding rice fields alongside all the delectable delights from our onsite cafe's menu. 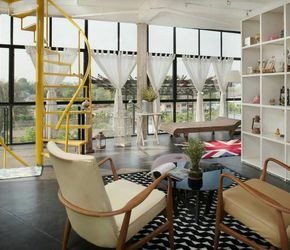 Choose from one of 4 unique Chic 39 rooms with our without our delicious breakfast menu, and experience the slow life here with us at Chic 39 Bed Bar & Bakery. Our cafe can cater for your dietary needs, just let us know! Book a room with or without one of our delicious onsite breakfasts. Park your car or motorcycle here at Chic 39 Bed, Bar & Bakery throughout your stay. Choose from freshly baked cakes, smoothies, pizzas and other main meals from the Chic 39 menu. Beautiful surroundings makes for great photo opportunities. Enjoy the magnificent internal and external view from Chic 39. Access free WiFi throughout our accommodation & within the cafe. Can you arrange airport transfers? Yes, just contact us we can arrange pick-up and drop-off for a small fee. Is breakfast included with the room? For some packages, this is the case. Guests can also book a room without breakfast. 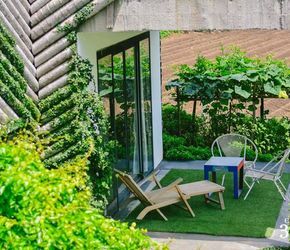 How far is Chic 39 Bed, Bar & Bakery from Chiang Mai? We are 15km away from Chiang Mai, Taxi shuttles into the city can be arranged for guests. What time can we check-in/out? Guest can check-in at 2:30pm, check-out time is 12:00pm.